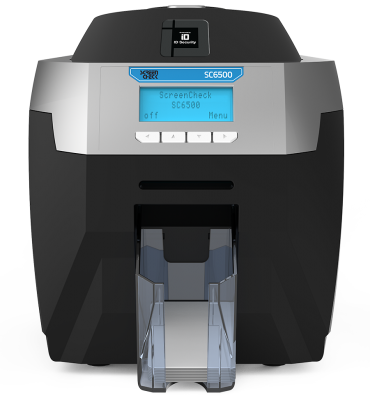 If you're looking for a highly professional ID card printer that offers superior card printing quality, you need the ScreenCheck SC6500 ID Card Printer. It prints highly professional cards thanks to ICC profiles that seamlessly map colors between software and the printer. The SC6500 also comes with a clear, 4-line display making it easy to control and offering smart user information. You can print batches of cards with the 100-card hopper, or print single cards or rewritable cards with the hand-feed card slot on the front. Enjoy the budget-friendly rewritable capabilities. 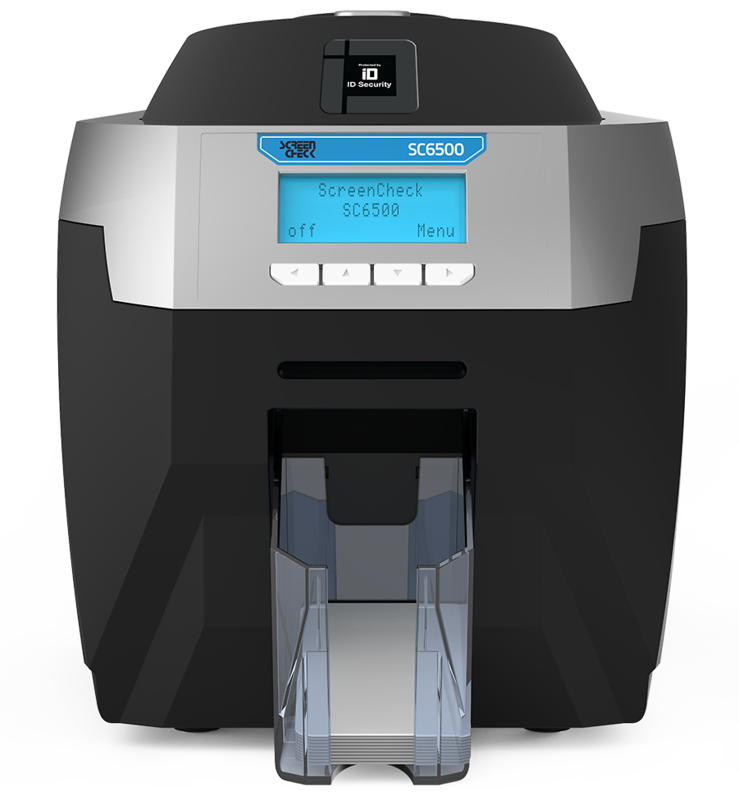 Using a special rewrite card, the ScreenCheck SC6500 ID Card Printer can print and erase the same card over and over in either monochrome blue or black. Rewritable technology is perfect for issuing temporary badges or visitor passes, among other solutions. 3 years UltraCoverPlus warranty and support which includes full printhead coverage and free loaner services—available in North America, EU, and other selected territories. Elsewhere 1 year minimum limited depot warranty.